Best wishes and a happy New Year to you, the supporters of the ongoing Hemispheres - Music of the World series based at PS in Fremantle. Last year was a year of consolidation for the programme with a number of fabulous highlights, including UK harmonica and accordion duo, Eddie Jay and Will Pound, the superb vocal duo, The Lost Brothers and the sublime skills of South African guitarist, Derek Gripper, a concert still repercussing amongst many in guitar circles. This year Hemispheres continues its association with the Fairbridge Festival and in April Italian roots music pioneer, ballo accordianist, Riccardo Tesi returns to WA with Banditaliana who will play at Hemispheres for the first time. For anyone familiar with Tesi’s music, he is a veritable living legend of the world genre and his band is unmissable - Friday, May 3. Just prior to the Fairbridge Festival on Thursday, April 25 we have a brilliant double-bill featuring real deal Scottish contemporary folk band, Manran and a surprising celtgrass band, Jigjam. Bookings and information on both these bands will for both these concerts will be forthcoming through Hemispheres and PS. 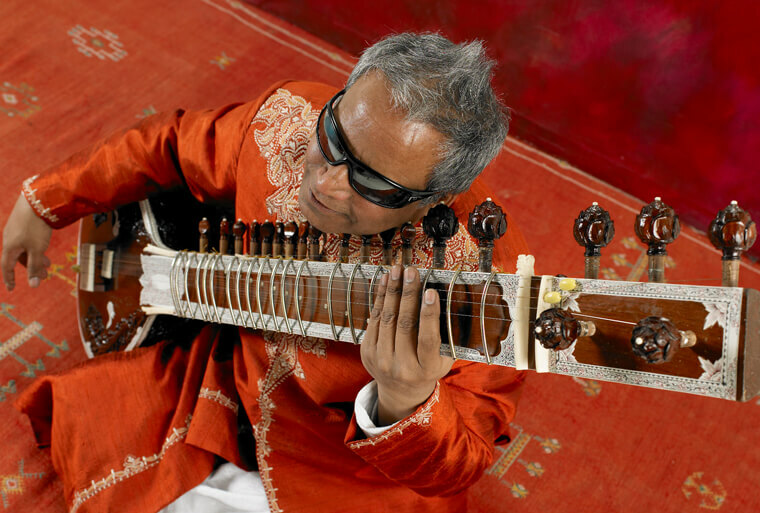 I first met and played with the remarkable Indian-born and UK-based blind sitar player and composer, Baluji Shrivastav, in the early 2000s as well as on a subsequent trip and concerts at Kulcha in Fremantle and I’m delighted that he returns to Australia this February for his first visit in nearly a decade. Recently awarded an Order of the British Empire (OBE) for his services to music in the UK, Baluji is a revered performer who has worked across the idioms of Hindustani classical, jazz fusion and film music. He is an outstanding improviser undaunted by the boundaries of any one tradition. He is also a tireless ambassador for sight-impaired musicians in Britain, forming the Inner Vision Orchestra, who recently toured in Mumbai and Delhi. In this PS Hemispheres concert he will be joined by some of WA’s finest, including Grammy award winning pedal steel guitarist, Lucky Oceans, four members of the Praashekh Quartet, who in the last two years have been favourites of the Fairbridge Festival. They include young sarod maestro (also playing his customised e-sarod), Praashekh Borkar (Pune, India), tabla percussion wizard, Sivakumar Balakrishnan (Singapore), superb young Balinese jazz bassist, Wayan Dana and vastly the experienced Fremantle multi-reedman, Mark Cain. Together as a sextet they are Tapestri. Blind since early childhood from a village in northern India, Baluji Shrivastav has faced many challenges, but his mastery of classical Indian instruments isn’t one. He plays sitar, surbahar (a bass-like sitar), dilruba (a bowed instrument) and percussion instruments, pakhavaj and tabla.